Apply Now for Resident Leaders for Equity 2019! 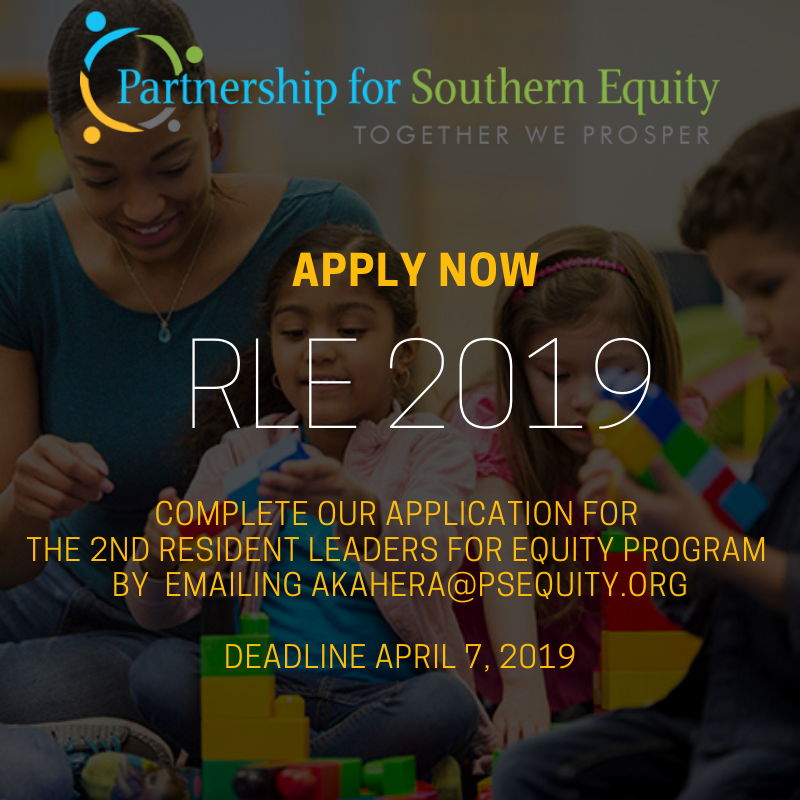 The Partnership for Southern Equity and the Annie E. Casey Foundation are inviting residents across the NPU-V neighborhoods (Peoplestown, Mechanicsville, Summerhill, Adair Park, Pittsburgh and Capitol Gateway) to apply to be a part of the Resident Leaders for Equity Program. This long-term leadership development program for ten to fifteen NPU-V residents was created to strengthen community knowledge of racial equity skills and strategies, and create positive neighborhood change with support from the Annie E. Casey Foundation and the Partnership for Southern Equity. This long-term leadership development program is designed to empower community leaders within the neighborhoods of NPU-V. Selected residents will participate in an 8 month programs where they will learn about racial equity, NPU-V history, displacement and community policies while also taking part in community projects. The deadline to apply is April 7th. Upon completion of the program, leaders will be prepared to have effective conversations about race, analyze policies that impact their communities (specifically gentrification, neighborhood change and displacement) and facilitate and mediate difficult and complex conversations with their neighbors. Additionally, by the end of the course the Resident Leaders for Equity will have developed a group identity and group project that will address critical community.